A British brand with over 40 years experience within the industry, Maidaid provides cost-effective pricing and efficient performance across its catering equipment range. Their products includes; glasswashers, dishwashers, icemakers, coffee machines, ancillaries, and bottle coolers. 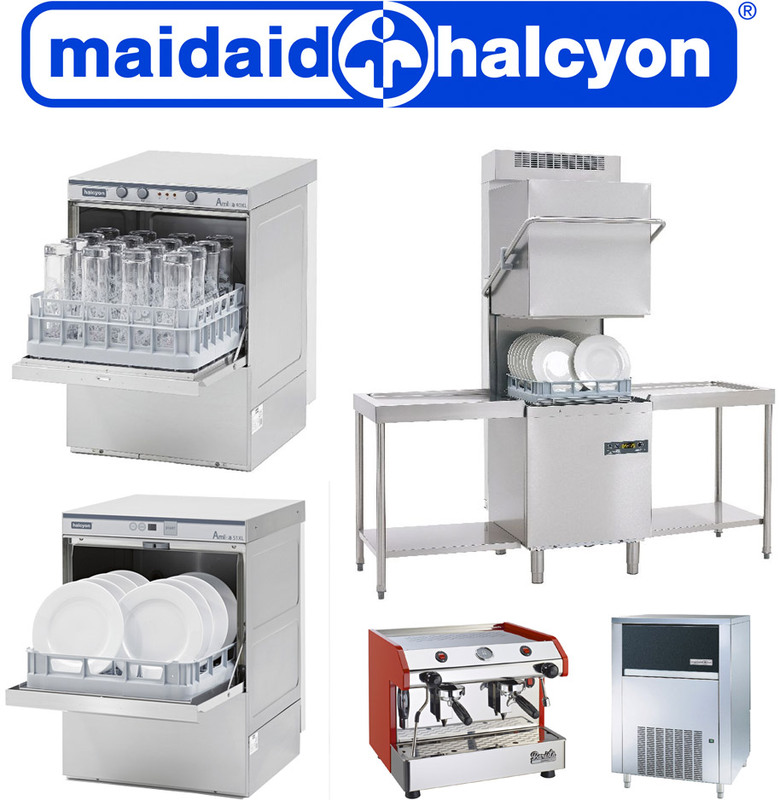 Knight Catering Services sells, installs, services and repairs Maidaid equipment. As we are not tied with any catering equipment manufacturer, we are able to provide the best possible prices for equipment and replacement parts. It’s often difficult to find equipment that suits your exact needs. Your kitchen’s demands need to be met, but you shouldn’t buy oversized equipment or it will result in unnecessary spending on utility bills. Our team are able to help, helping you find the best equipment possible. Servicing is essential for keeping your equipment efficient and able to perform at its very best. In the case of warewashing equipment, this is important for making sure it can reach the temperatures required to kill bacteria and sanitise effectively. Knight Catering Services provides a prompt emergency repairs services, able to be onsite within 24 hours if your business is based within Hampshire. We will also strive to provide the best possible prices on any new parts required. Ongoing maintenance plans are available, including full breakdown cover. Please get in touch for more detail or see the Total Catering Facilities Management page. With an average review of 9.7/10 on Checkatrade, rest assured we provide a reliable service. We’re a local company based in Hampshire, operating across the South.